Virginia Lorraine Hall of Howard Lake, passed away on January 29, 2019 at Howard Lake Good Samaritan Center. There will be a period of visitation for family and friends on Thursday, February 7, 2019 from 1-5 PM at Swanson-Peterson Funeral Home of Howard Lake. Virginia Lorraine Hall was born on August 31, 1946 in Montevideo, Minnesota to Edward and Bertha (Thompson) Strobeen. She grew up in Montevideo and graduated from high school there in 1964. Virginia worked for many years as an administrative assistant at Medtronic in Minneapolis. She led a very active life; she was a co-founder of Project Warm Hearts (providing warm clothing to those in need), where she made and donated thousands of knitted and crocheted scarves and hats. She also, with the help of her sister Margaret, made and donated thousands of quilts. Virginia enjoyed helping people and had many friends. 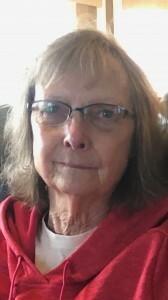 Virginia passed away after a battle with cancer at Howard Lake Good Samaritan Center on January 29, 2019. She had reached the age of 72. She is survived by her daughters: Brenda (Jerry) Zahorski, Barb (fiancé Sheldon Remer) Dircz, Michelle (Kirk) Gregor, son-in-law Dan Dircz; grandchildren Andy (Liz) Stulac, Nicki (Howard) Mukanda, Kara (significant other Steven Goodrich) Dircz, Daniel Dircz, and Savannah Remer; sister Margaret Kruger; former husband Jerry Hall, nieces, nephews, other relatives, and many friends. She is preceded in death by her parents Edward and Bertha Strobeen, and first husband Michael Pearson.